Zoom offers a public or hybrid cloud service. 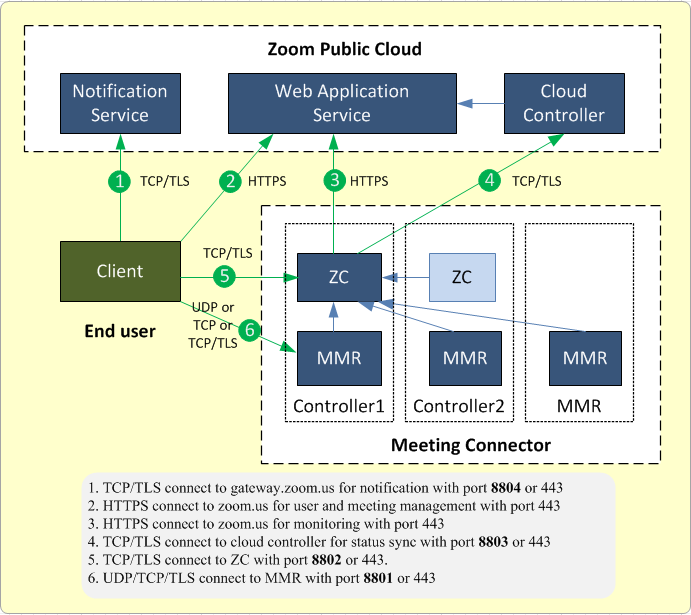 In the hybrid cloud service, you deploy meeting communication servers known as the Zoom Meeting Connector within your company internal network. In doing so, user and meeting metadata are managed in the public cloud while the meetings are hosted in your private cloud. 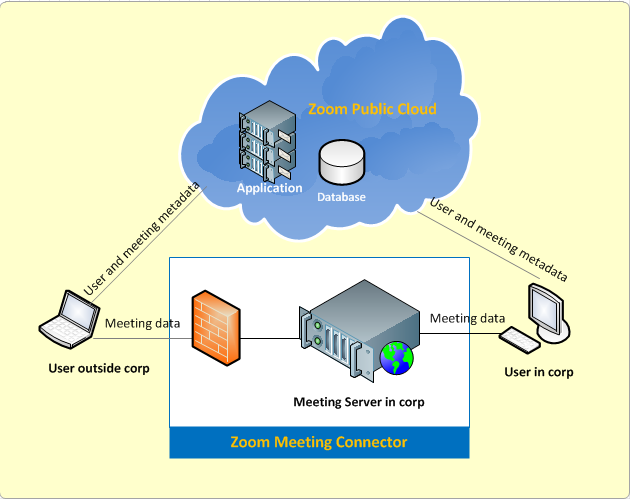 All meeting traffic including video, voice and data sharing goes through the on-premise Zoom Meeting Connector. Zoom Meeting Controller is packaged as an OVF and can be deployed onto any virtualization platform. The simplest Meeting Connector set up is with one Controller VM deployment. For high-availability, you can deploy another Controller VM. If the ZC in Controller 1 is down, the other ZC in Controller 2 will take over automatically. Each MMR process supports up to 350 concurrent meeting participants at the same time. That is, if you deploy one Controller VM, your Meeting Connector supports 350 concurrent participants. If you deploy another Controller VM for HA, your total capacity increases to 700. You can deploy additional MMR VM to increase the participants capacity. In one Controller VM, you can deploy up to 200 MMR VMs. If you have additional questions, please contact our Support team.